New Delhi: The Delhi government will soon launch a scheme providing Rs 2,000 incentive to those who help accident victims reach hospitals, a minister said. With the Good Samaritan scheme, the government hopes there will be a reduction in time for an accident victim to reach a hospital, Delhi Health Minister Satyendra Jain said. 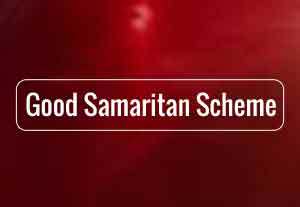 The Aam Aadmi Party-led Delhi government had in January this year approved the Good Samaritan scheme. It had mooted a proposal in August last year after a road accident victim in west Delhis Subhash Nagar bled to death because no one helped him. “The government has decided that if there is an accident on Delhi roads and anyone takes the patient to a nearby hospital — government or private — we will give Rs 2,000 incentive to the person who takes the patient to the hospital,” Jain said. “We are going to launch this Good Samaritan scheme very soon…within a month,” he said while addressing the second edition of the MeltingPot 2020 Innovation Summit 2017 here. “If there is an accident in Delhi, the patient is taken to the hospital earlier (faster) than New York and after this (after introduction of this) scheme you will see further reduction in time. The government will also bear the treatment costs of the patient,” Jain said. He said there is a need for health maintenance programme for everyone. “We are renovating all the existing hospitals, doing capacity building and also making new hospitals. Right now we are having 10,000 beds and are making 25,000 beds,” he said. “Our health care system goes to the people,” he said. After running 100 Mohalla (neighbourhood) clinics as a pilot project, there were not more than three percent referrals to the hospitals, which means 97 percent people are treated right next to their doorsteps, Jain said. “This, I think, will change our health care delivery system. The Mohalla clinics are much in demand in upper middle class colonies,” he added.